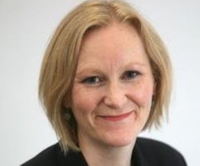 The Scottish Funding Council (SFC) on Tuesday announced the appointment of Karen Watt as its new chief executive. The SFC invests around £1.8 billion a year in Scotland’s 19 universities and 25 colleges. Watt, who takes up the role on January 14, 2019, joins the SFC from the Scottish Government where, as Director of External Affairs, she has played a leading role in developing the Scottish Government’s response to the EU Referendum. “She brings with her a wealth of experience and a track record of improving public services while aligning the interests of a wide range of public and private stakeholders,” said the SFC. “A skilled negotiator, with strong political acuity, Karen’s position as Director of External Affairs has provided her with invaluable international experience. “Recognising the importance of positioning Scotland on the global stage, she has established a network of overseas investment and innovation hubs in key locations outside Scotland and delivering them with pace. “Aligned to this work, she has also played a key role in developing Scotland’s new international communication and marketing campaign, Scotland is Now. “Karen has also brought her international experience to bear in wider policy contexts, including the internationalisation strand of Scotland’s Economic Strategy, touching specifically on the place of education and research, and communicating the potential impact of Brexit on universities and colleges. “She set up and became the first CEO of the Scottish Housing Regulator, and brought those leadership skills into her role as Head of Enterprise and Tourism where she had responsibility for sponsoring Scottish Enterprise, Highlands and Islands Enterprise and tourism agency, VisitScotland. “During this time she developed Enterprise Areas across Scotland and established the Cities Alliance, building strong relationships with senior leaders across the portfolio and with the wider business community on the economic challenges Scotland faces. “She also subsequently led the Scottish Government’s culture policy and the establishment of Historic Environment Scotland.